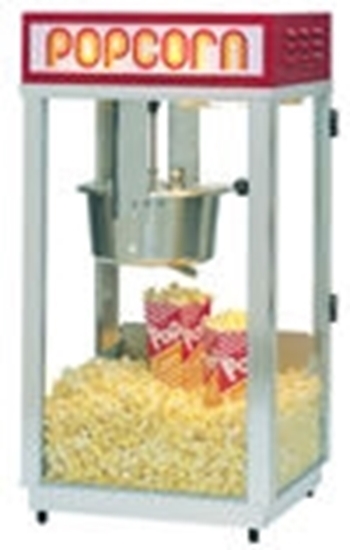 A fluorescent backlit Popcorn sign will help sell more popcorn than machines without a lighted sign. Popcorn scoop included with popper. A fluorescent backlit Popcorn sign will help sell more popcorn than machines without a lighted sign. This machine will pay for itself in just a few peak hours of operation. Popcorn scoop included with popper. 18"w x 16"d x 35"